STEPDive to discover the underwater world. 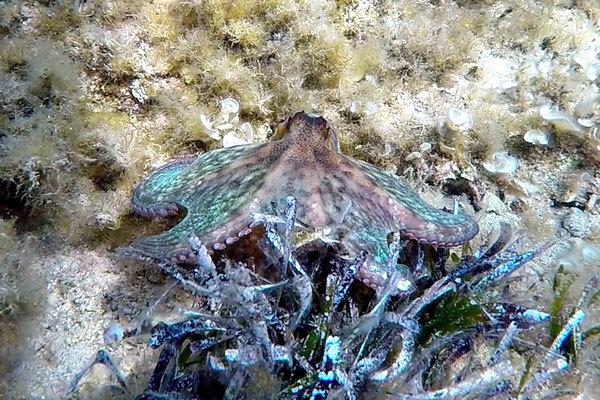 Not the pool, but the real open water underwater world, including all its variety & wonder. 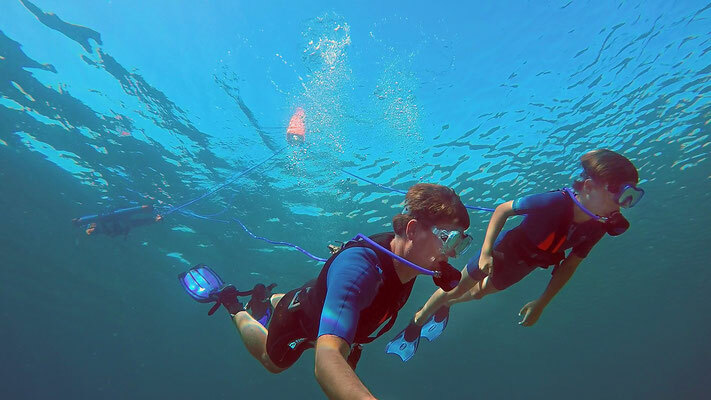 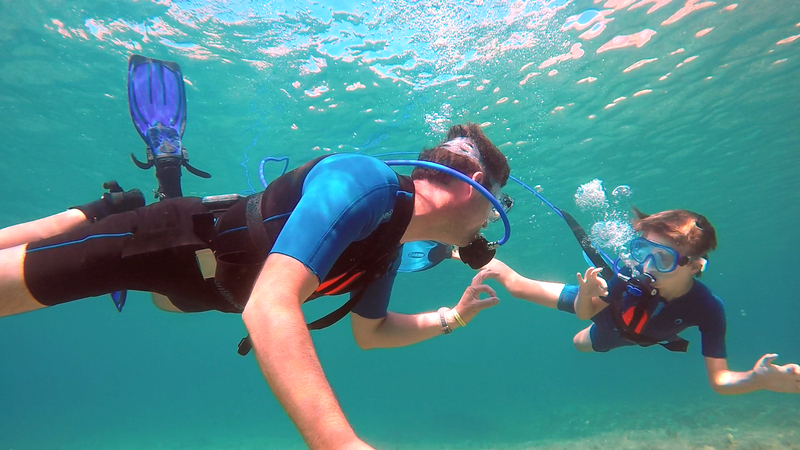 A unique underwater experience, together, yet with everyone at their own level of skill and experience. 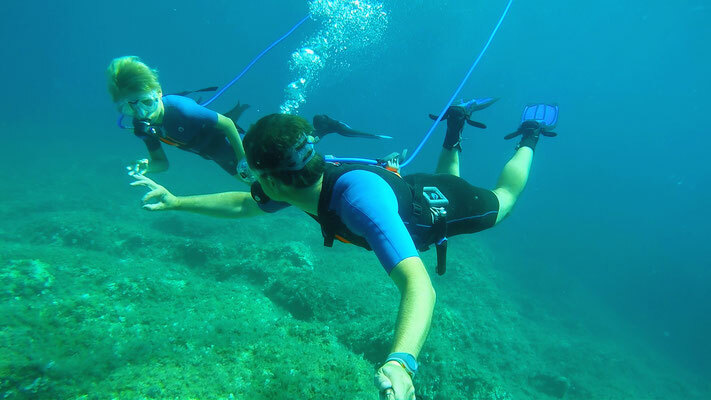 Beginner divers can start at Step 1, exploring the underwater world from the surface, while already learning proper handling of the regulator. 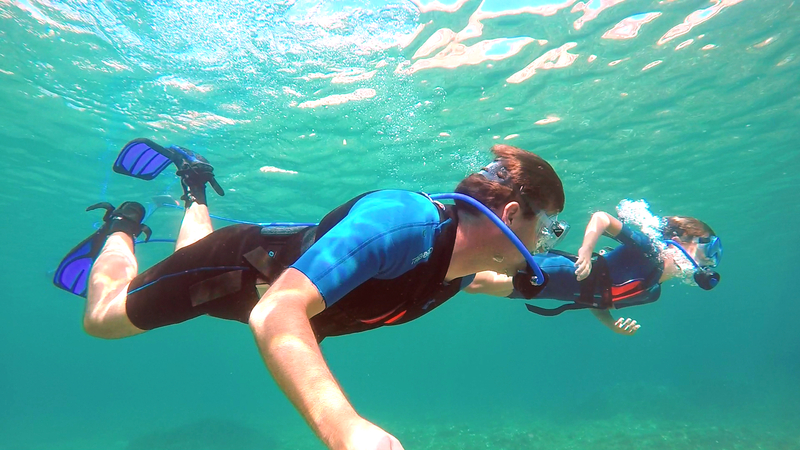 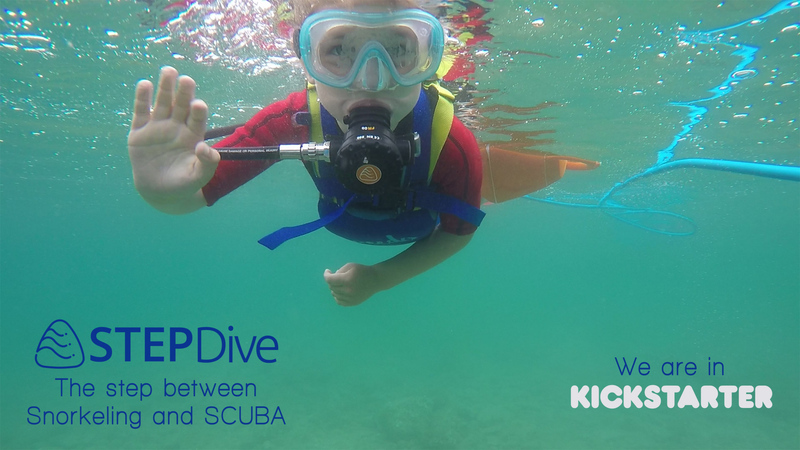 From age 8, kids can start diving at Step 2, starting with a maximum depth of just 1m. 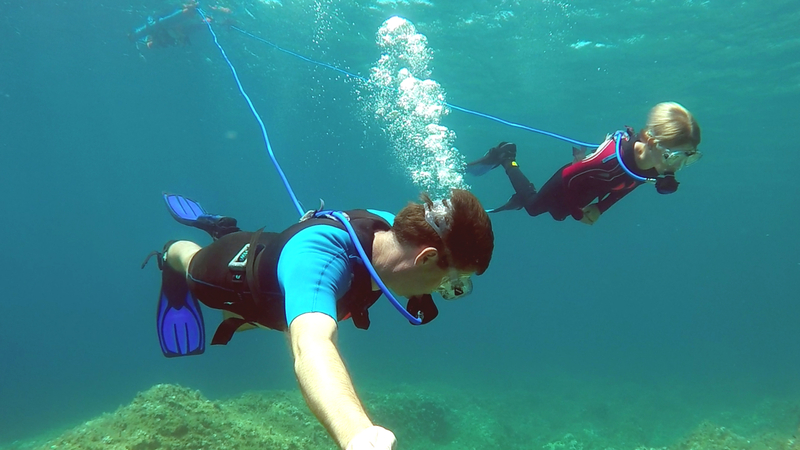 Logging dives and building up experience and natural behavior underwater. 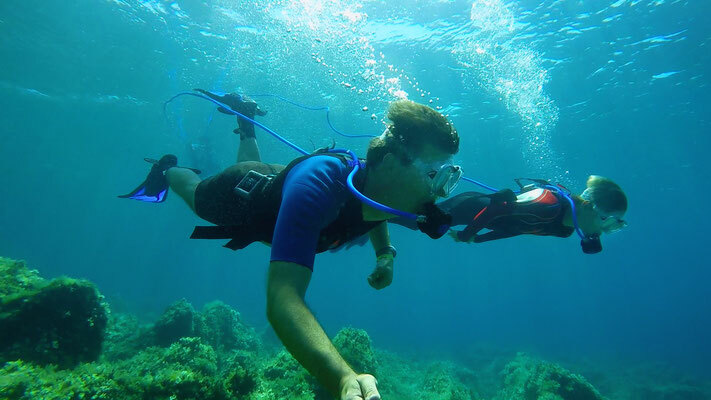 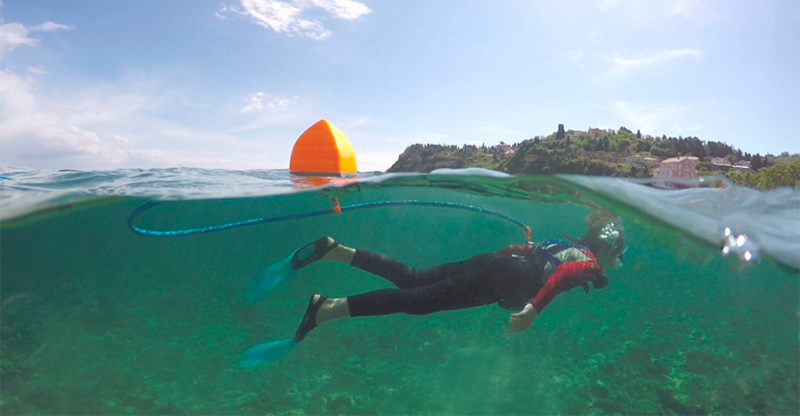 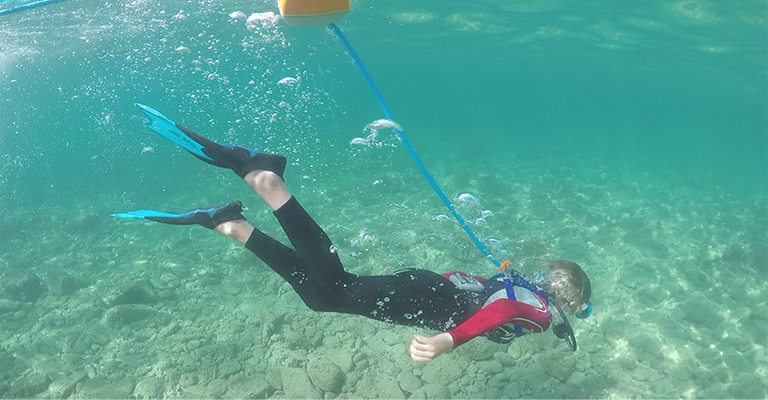 At age 10, with sufficient logged dives and experience, the depth limit can be adjusted to Step 3, at 3-5m, and focus shifted to buoyancy, air management, and swim technique. 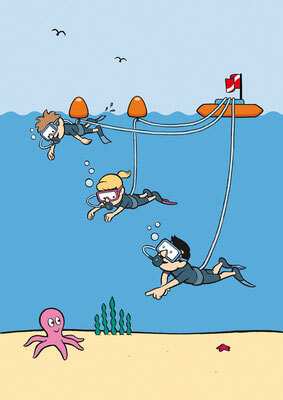 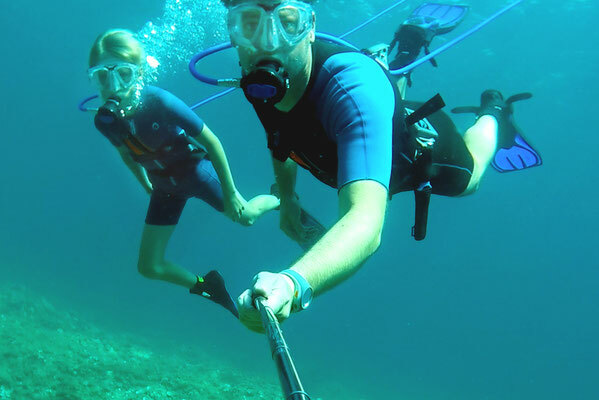 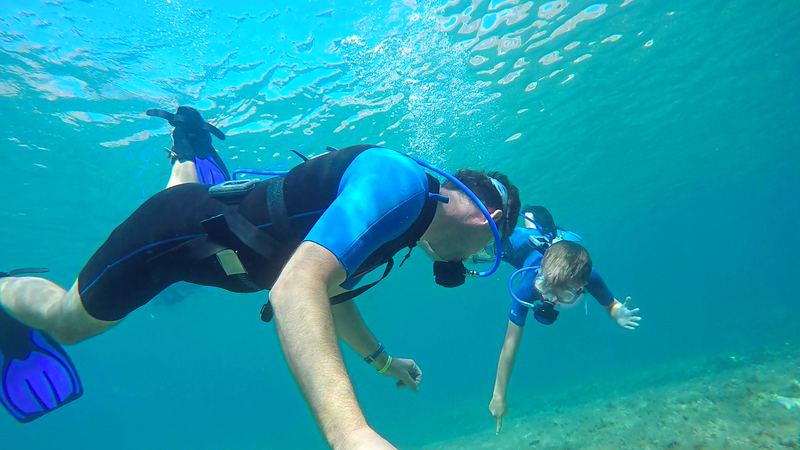 All dive techniques and instruction should be done through a qualified SCUBA dive school or instructor.